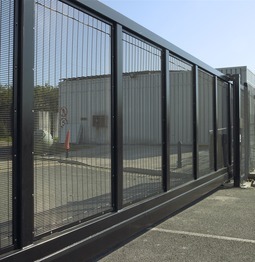 The North West's market leader in Security Fencing & Electric Gates. With over 25 years experience in the Industry and a skilled, dedicated workforce to match, we offer a level of service second to none - see references here - From the smallest repair to a large scale project, we offer a complete solution, from design level to final fix. WHY SHOULD YOU CHOOSE US THOUGH, ABOVE OTHERS? 2 - We are the ONLY Company qualified to Fully Design, Risk Assess, Manufacture and Install Automated Gates, including Installation & Final Commissioning of the Electrics AND the issue of Force Test Results to ensure compliance with the very latest HSE Regulations AND a Comprehensive Maintenance Contract covering Parts and Labour. All certificated on Completion for peace of mind.